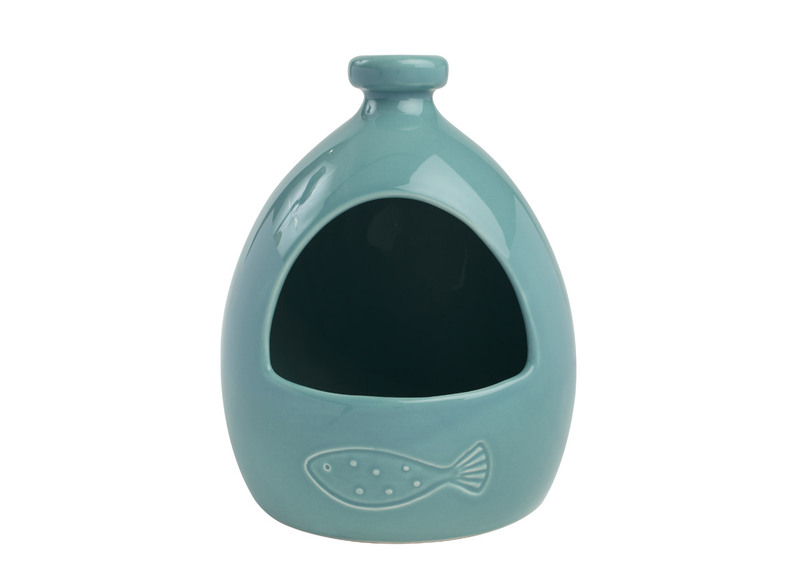 Ceramic salt jar with a lovely fish design. Part of our ocean collection from T&G; a range of quirky storage, presentation and display items inspired by the sea. This range has been designed to raise awareness of the problems of plastic waste in our oceans. T&G make a donation to Plastic Oceans UK from the sale of each ocean collection product. Care instructions: hand wash in warm water with mild detergent. Dishwasher safe.